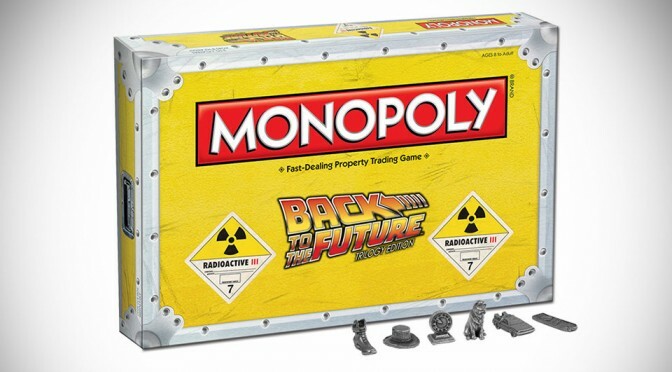 Now, lets not get too excited on who’s getting the iconic Mattel hoverboard token. 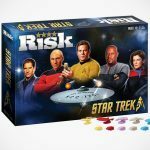 Being a huge fan of Back to the Future, I would love to play the world’s most iconic, if not the most famous, board game in true Hill Valley style. Yes, we are talking about the Monopoly Back to the Future Trilogy Edition which will be released by custom themed games maker USAopoly this September. 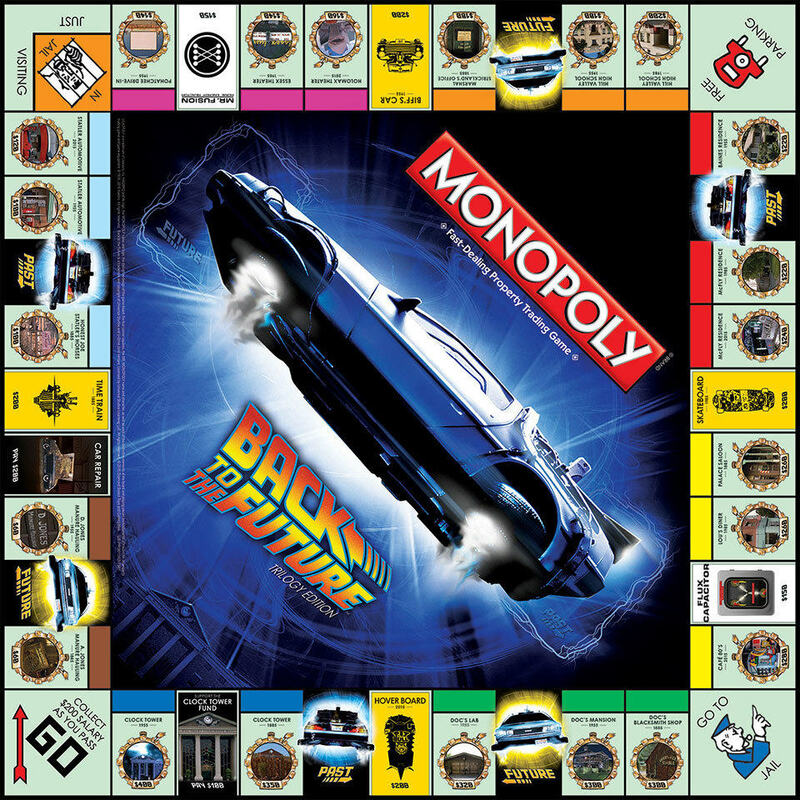 The game is basically the Monopoly you have grown to love or grew up with, dressed in Back to the Future theme with essential items 28 title deed cards to properties like The McFly Residence, Doc’s Blacksmith Shop, Mansion and Lab, 1955 and 1885 Clock Towers, along with four stations filled in by Biff’s Car, a skateboard, a hoverboard, and the time train, instead of actual stations. Chance and Community Chest are renamed to ‘Past’ and ‘Future’ cards, each with portion of the Flying Delorean’s image as part of the card design that matches the main graphic on the board. 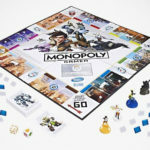 Also renamed are the houses and hotels, which will be known as Plutonium Rods and Plutonium Cases, respectively, but as far as the physical objects are concerned, they look pretty much like the house and hotel you would find in any Monopoly set with the only difference being the color. 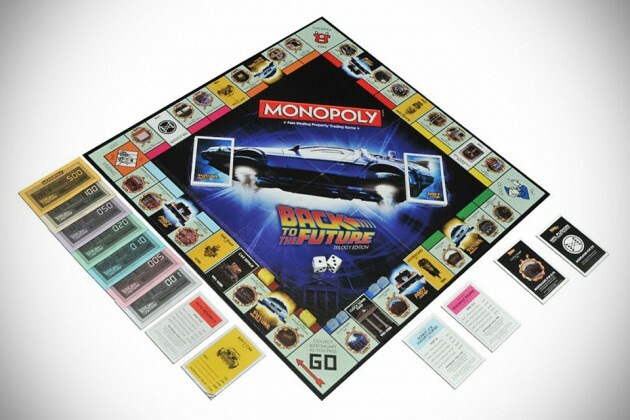 While all the stations and properties’s graphics are BTTF themed, the ‘Jail’ is a carry-over from the classic Monopoly and so are the ‘Go To Jail’, ‘Free Parking’ and ‘Go’, which, in my humble opinion, seems incomplete. 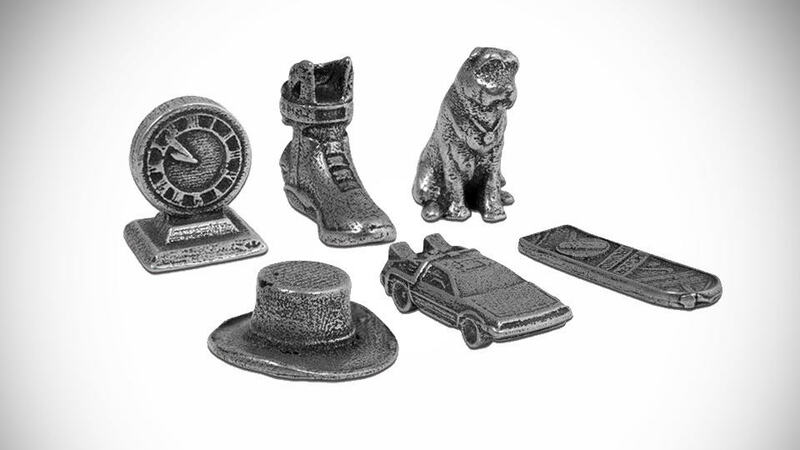 Though the money is a little different; it is now presented with digital font and naturally, you will also be getting BTTF-flavored zinc tokens, which includes DeLorean, Einstein (Doc Brown’s lovable dog), Hoverboard (don’t actually hovers, btw), Marty’s Hat, New Clock Tower, and of course, Marty’s Nike Air Mags shoe. Last but not least, it comes packed in a unique, bright yellow ‘radioactive’ box. 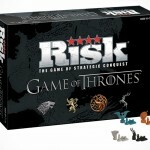 And the price? 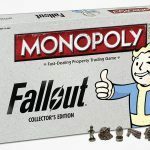 $39.95 when it hits the market in September 2015.